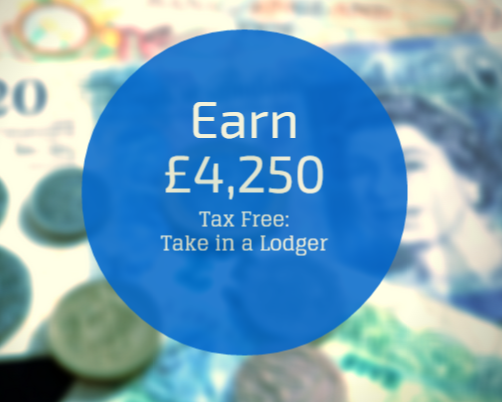 It is a well known fact that London is an expensive area to stay in - while your internship in the city is an amazing opportunity and will be an experience you’ll never forget, you may be wondering where you can possibly afford to stay while here. We have some advice on areas around London that are affordable, have good transport links, and have at least a few points of interest nearby. First thing to keep in mind is that most people who live in London, whether it’s long-term or short-term, take full advantage of the great public transport here - like the Underground & the National Rail. It’s uncommon for someone to live within walking distance of their job or university, as this is often prohibitively expensive. That’s the nature of London. The average commute time for a Londoner is about 25 to 30 minutes. So keep your mind open while searching, and you’ll save money by spending just a little bit more time. At just about 20 minutes exactly to get into Central London via Charing Cross, Catford is a superb option for those who are working in the very heart of London. Very affordable accommodation, nice variety of restaurants, and a lovely bit of green in Mountsfield Park. 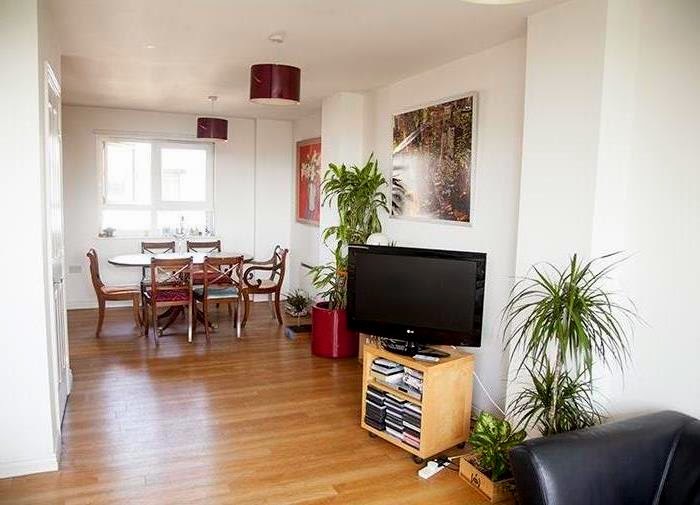 We’ve got a lot of hosts & properties in Catford, so take a look & find your new space! These two areas are another superb choice for commuters working in East London, as it takes about 15 minutes to get into Liverpool Street and the surrounding areas. Not only that, but Leyton & Leytonstone are up-and-coming areas with cafes, restaurants, and green spaces like atheletic fields. 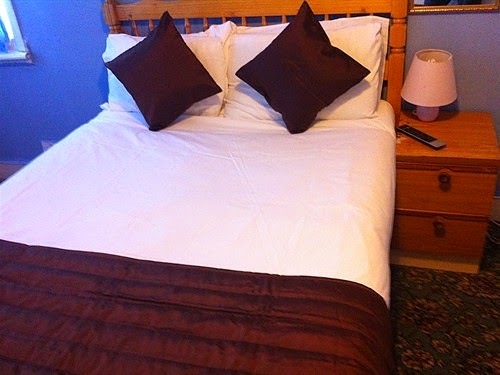 We have tons of flats & rooms in Leyton, so grab a bargain as soon as you can. Working on the east side of London, more in the City? Holloway Road, or Upper Holloway, may suit you best. Not only is there plenty to do and see as you walk along this shopping road, you can also easily get into Liverpool Street, and therefore the Bank, Moorgate, Aldgate and Old Street areas within about 25 minutes all told. Affordable & populated by other young professionals, this is a good choice for people working near the Silicon Roundabout or the financial center of London. We’ve got properties & rooms on Holloway Road, of course. The extremely well connected Tottenham is a great homebase for people who plan to travel around London and the even rest of Europe during their internship. Tottenham Hale station is here, and is connected to Stansted Airport by train in just about 40 minutes, and central London within about 20 minutes.The more near you can be to Tottenham Hale, the better for transport - but anywhere in Tottenham means you’ll find some culture and a well priced room or flat. 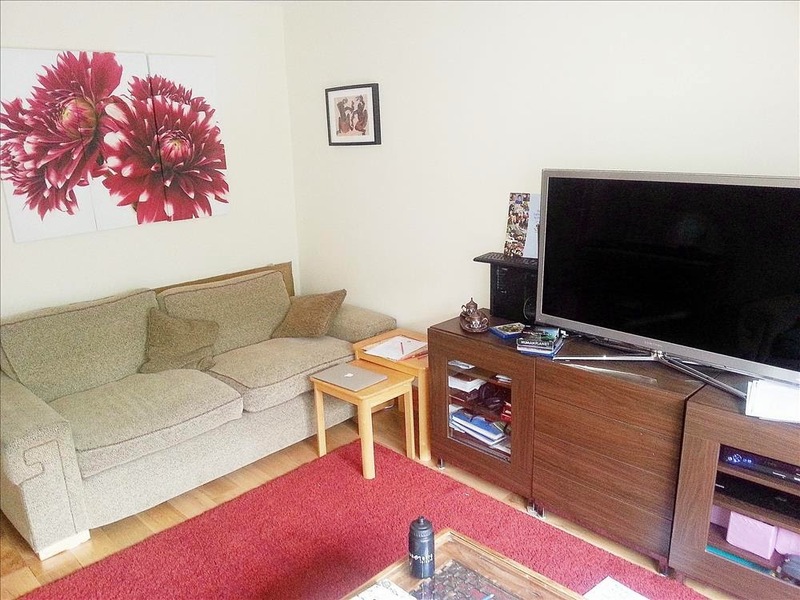 We have inexpensive property in Tottenham for interns, so check it out. The entire area of West Hampstead going into Kilburn is a great area for interns in London. With a lot of connections & stations: bus stops, a few tube stations, and an overground - you can get everywhere you need to be from here within about 30 minutes. When you’re not in the office, enjoy the lovely green spaces of the area & the independent cafes. 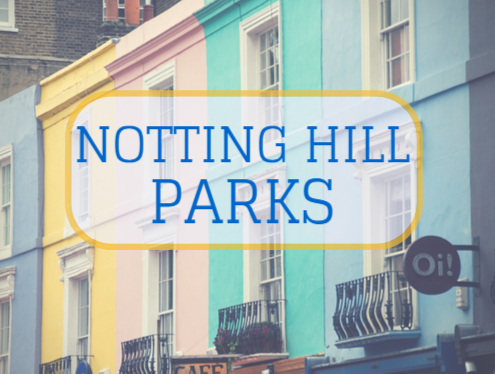 We have lots of property in West Hampstead & Kilburn, so take a look. 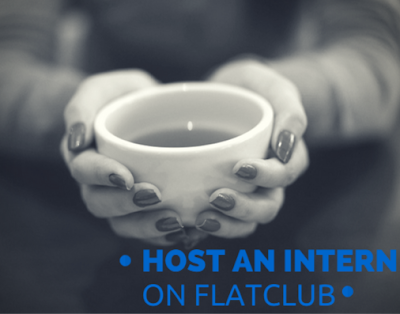 Here at FlatClub we're firm believers in taking the opportunity, when you can, to do an internship overseas. If you're on the fence, we've got 5 reasons why you should do it that might just have you filling out applications & checking flight prices this afternoon. Competition in the job market, as we all know, is fierce. An easy way to make yourself stand out from the rest of the applicants is with international job experience. Not only is internship in and of itself considered a leg up, when you add in the extra knowledge you'll have surely gained overseas, you'll be irresistible to a hiring manager! Not only will you make good friends who could last a life time, which is great no matter where they are in the world, but you'll also make business contacts spanning nations. Why limit yourself to one country's job opportunities, when you can be trying your hand across Europe, the Americas, and Asia? By going out an doing an internship overseas, you'll be increasing your job opportunities exponentially. You can really test your mettle at an early stage in your job development by interning overseas. This early experience will earn you more confidence and we all know how important confidence is when applying for jobs, or interpersonal relationships. Once you've tested yourself overseas, you'll see that you can overcome so many more challenges! Depending on where you travel, you'll be immersed in not only an entirely different business culture, but also a completely different language. The best way to learn a language is to completely ingratiate yourself within native speakers, and you'll be hard-pressed to find an easier way than to work in a country. Not only that, but you'll learn valuable interpersonal skills about how to make your point clearly, how to adapt, and how to get along with people who may not be similar to you. Another great reason to intern abroad? Well - traveling, of course! The opportunity to intern abroad is a great one. Think of all the people you know who would love to go overseas, see a new world, gain a new perspective, and learn something. It's a wonderful chance to do all of those things, and be able to come back and brag to everyone at home about what you've seen - and share it with them too, of course. 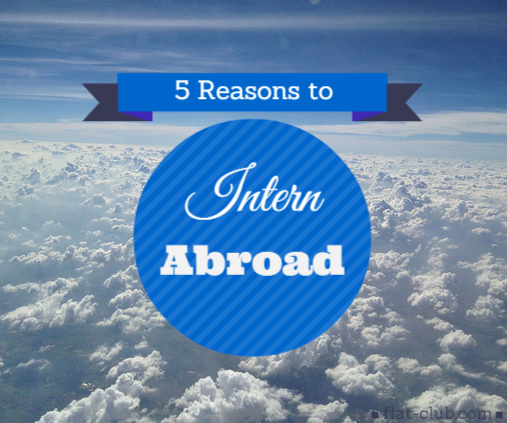 That's just 5 reasons why interning abroad is such a great idea - there are so many more where that came from! The best way to find out the benefits of internship abroad is by pursuing it, and doing one yourself. Do you want to do an internship abroad? Join our Google+ community to view the latest internships offered by top companies. FlatClub has student & intern accommodation throughout London, for any budget range, and anywhere you need to be. Do you have any experiences or benefits with internship abroad that you'd like to share? 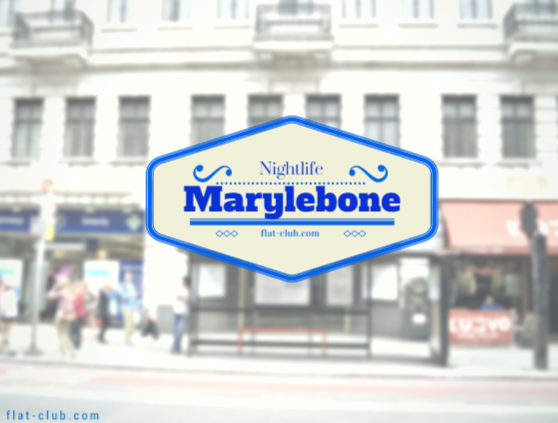 The nightlife in Marylebone is all about cocktails. Every venue is passionate about their drinks - you might just have to try them all to figure out which one is best. We certainly think they are all top notch! Purl - Purl wants to bring the classic cocktail back to London, and use more than just taste to do it. Using smell, touch, and sight, this nightclub creates an experience. From great seating alcoves to cocktail masterclasses, this is one nightlife spot you won’t soon forget. Match Bar - Match Bar is versatile, posing as a restaurant during the day and a lively nightlife spot after the sun goes down. It is easy to get to right off of Oxford street, and are quite proud of their cocktail offerings. Artesian Bar - Open late and with the best bartending staff in the area, Artesian Bar has earned its popularity. The cocktails keep regulars coming back for more and the smart casual dress code keeps the atmosphere classy. Texture - Perfect for a higher-end night out, Texture offers one of the most extensive champagne lists - by the glass or bottle - in London. Their wine list is also excellent. The food is expertly prepared, and the staff are knowledgeable and helpful, often making great wine pairing suggestions. The Luggage Room - This club has a roaring 20’s speakeasy style, with a dark wood and leather upholstery interior and is complete with an unmarked black door as an entrance - you must knock for entry. For classy cocktails and friendly service, head to The Luggage Room. Skip the crowded, impersonal, large chain coffee shops and head to one of these amazing independent coffee shops and cafes for a much better cup of coffee - or tea! Marylebone is a great place to enjoy your drink, unless you decide to hang out in the coffee shops all day. 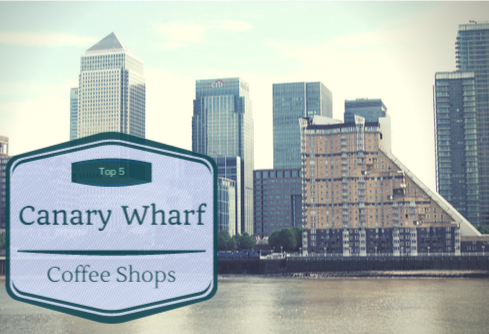 Workshop Coffee Co. - If you’re looking for some of the highest quality coffee in London, look no further than Workshop Coffee. They have perfected the combination of fantastic coffee and amazing food. You can enjoy both in the intimate space or grab it all for take away. The regulars swear by Workshop’s blends. Postcard Teas - If you’re in London and have never had any proper tea - you need to get on over to Postcard Teas. You can taste test the tea before you buy, as well as buy tea accessories, ceramics, and postcards. All of this is wrapped in a shop with a great atmosphere. D1 Coffee - D1 Coffee has been a popular independent coffee shop since it opened in 2013, and for good reason. 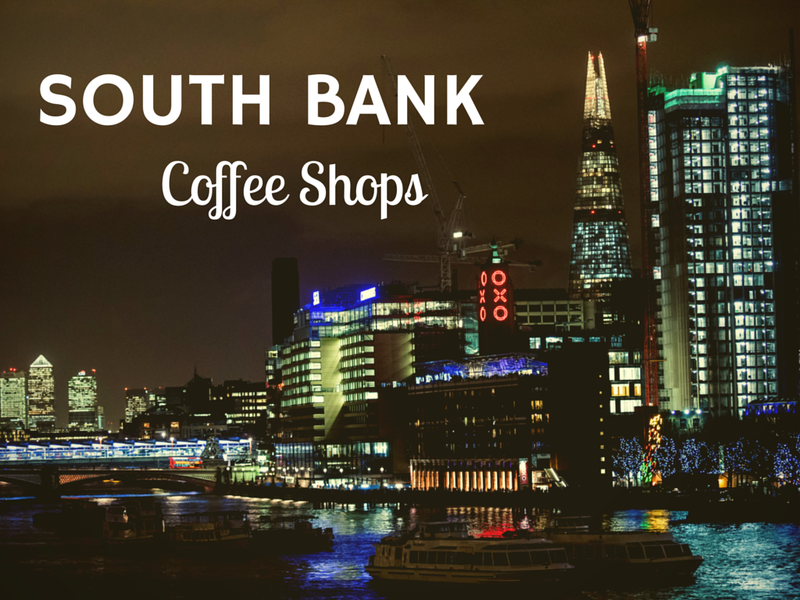 They are passionate about preparing their Monmouth coffee, and regulars have stated they have the best espresso in London! 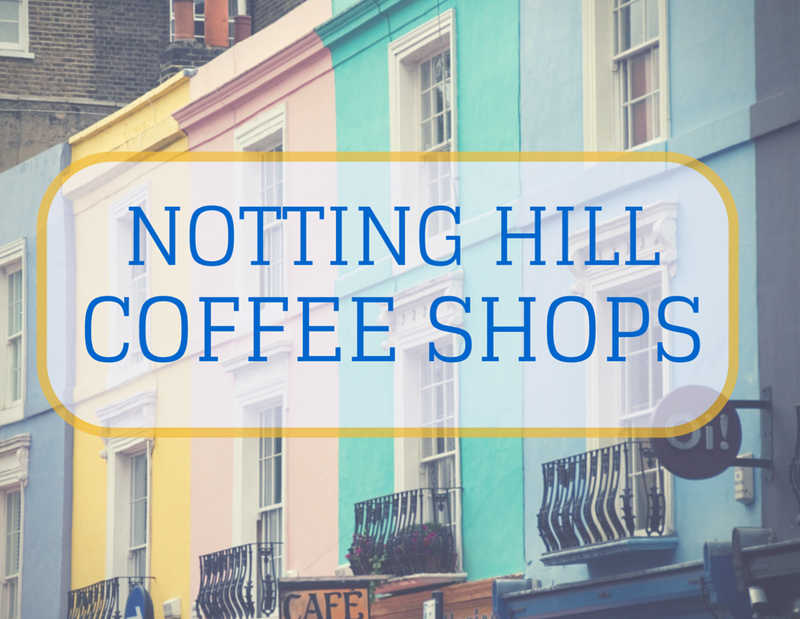 Gino’s Coffee Bar - Located right across from the Marlyebone tube station, Gino’s has developed a loyal following. They serve delightful coffee you can take away, but many prefer to sit in - it is a popular breakfast spot. Friendly management and service add to the atmosphere. 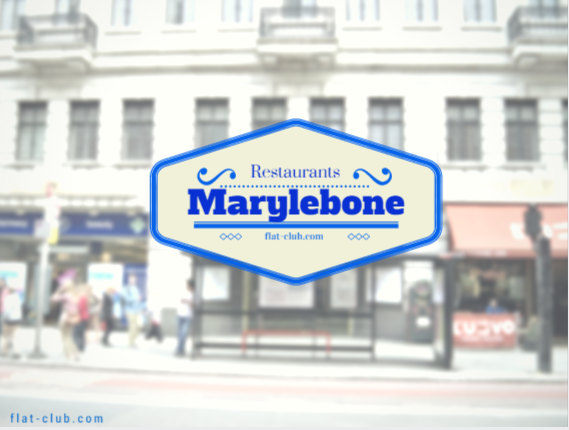 Marylebone has a great diverse range of restaurants to choose from, no matter what time of day it is. From Indian to amazing burgers, you’ve got a decision to make for your next lunch! 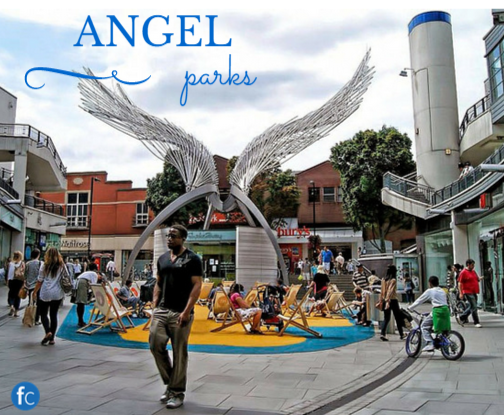 They’re all perfectly placed within a few minutes’ walk from some of London's greatest attractions and shopping spots as well. Roti Chai - A unique little Indian restaurant that is slightly hidden off of Oxford Street, Roti Chai is a hit with newcomers and regulars alike. With friendly staff and a not-so-typical but definitely delicious menu, this is a place you won’t want to miss out on. Patty & Bun - A simple name like Patty & Bun is a bit of a giveaway for the type of food they serve - but they definitely go above and beyond expectations for the taste and quality of their burgers. Be sure to go with an appetite - the portions are more than generous. Le Gavroche - This Michelin starred French restaurant is so popular, you must call to reserve a table months in advance. However, if you want the ultimate fine dining experience, the three month wait will be worth it. Le Gavroche was a 2013 Traveller’s Choice winner on TripAdvisor. The Golden Hind - With a simple menu and decor, The Golden Hind sticks to what it knows - fish and chips. They serve up a perfectly cooked and crispy cod to both locals and tourists. Blandfords Café - With a great family atmosphere and plenty of choices on the menu for breakfast, lunch, and dinner, Blandfords Cafe is not one you want to miss out on. They serve some great Ily coffee, as well as British and Italian cuisine. Everywhere you turn, Marylebone has culture, museums, and well-known tourist attractions. From art and concert halls to museums and wax figures, you definitely won’t get bored in this neighborhood! It might take you a few days to get to everything on the list, so take your time (and get a good dose of caffeine from the coffee shops in the area for energy). The Wallace Collection - A historic London townhouse is filled with a stunning collection of French 18th century paintings, as well as furniture and porcelain. While each display is great, the great gallery is truly breathtaking. As a bonus, the Collection also has its own restaurant. Sherlock Holmes Museum - Fans of Sherlock and Watson will want to check out the Sherlock Holmes Museum. 221b Baker Street might be one of the most famous addresses in London, thanks to Sir Arthur Conan Doyle. The property is transformed to look as Sherlock’s fictional home would have appeared. Madame Tussauds - Madame Tussauds is possibly the most famous wax museum one could walk through. If walking among life-sized celebrities made out of wax is your thing, then you will most likely have fun taking pictures with your favorite star’s likeness. Wigmore Hall - If you’re looking for some live music more along the lines of classical soloists or jazz ensembles, Wigmore Hall is the perfect, intimate venue in which to enjoy it. It has an elegant interior to go along with the great acoustics. Handel House Museum - Lovers of classical music will want to put Handel House Museum on their list of things to do. The rooms in this house are set up similarly to the Sherlock Holmes Museum - they are intended to look as they had when Handel lived and composed in the rooms, with a few changing exhibits. London gets a lot of tourists each year - 15 million, to be exact! Many of those tourists come from the USA, as their shared history & language make it an easy transition and a place of reflection for many Americans. It may be of interest for American tourists in London, or American expats in London to see some sights that will remind them of home; I don't just mean the McDonald's at Liverpool Street, either! 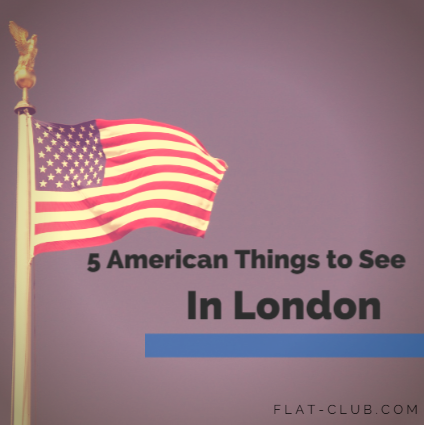 If you're an American in London looking for something familiar, or if you're just curious what sort of United States artifacts are about in the UK, here's a list of 5 cool places to visit! 1. John F Kennedy Bust on Marylebone Road - This memorial to the late President JFK was unveiled in 1965, and was sponsored by 50,000 Sunday Telegraph readers, pledging for £1 each. It's a lovely way for one of America's most well regarded presidents to be memorialized abroad. 2. John F Kennedy Memorial in Runymede - Runymede itself is a historic location for the entire world - it's the place where King John sealed the Magna Carta in 1215. It's a beautiful memorial, with stairs designed by Sir Geoffrey Jellicoe who worked from the angle that life is a journey. 60,000 granite steps go through the well-preserved woodlands of Runymede, which atop in a clearing there is a large stone inscribed with words from JFK's inaugural address, then finally a paved pathway that leads to a beautiful clearing and a superb view of Runymede. 3. American Museum in Britain - An entire American museum in Britain? It happened, and it's in beautiful Bath. If you're a visitor to London, we highly recommend a day trip out to Bath as they have many wonderful museums that are a bit more off-the-path than London ones, and just as good. This museum focuses mostly on American art & design, with a particular eyes towards folk art. There are also US Civil War re-enactors during the summer. 4. Benjamin Franklin House - If you can believe it, this is the last remaining home of the Benjamin Franklin, one of America's most influential founding fathers. The homes he had lived in prior to and after this one have all been torn down in various reconstructions, wars, and accidents. 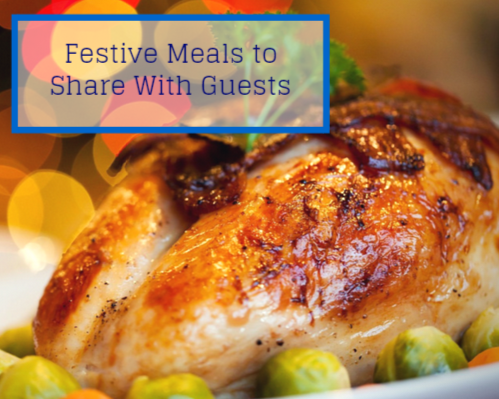 Make sure you pre-book online as they limit the number of visitors who can come through at a time so that every guest can have a nicer experience! Enjoy the guided tour through the house by a skilled actress in period costume. 5. The Mayflower Pub - A nice pub in London all the same, this one also has great historical ties. This is where the Mayflower was docked before it took off for the US! Well, this was it's first mooring in the UK - of course it stopped again at Plymouth before it left for the new world. Due to this awesome historical tie, it's the only place licensed in the UK to sell US postage. Interesting, huh? 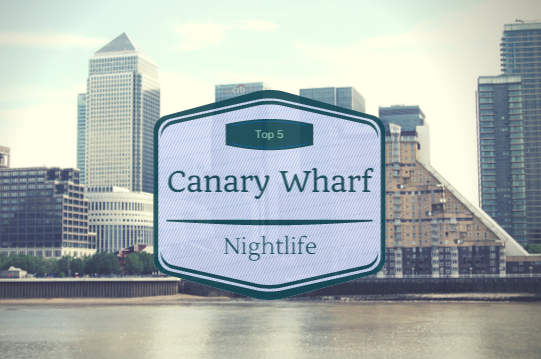 Are you a recent American expat to London? 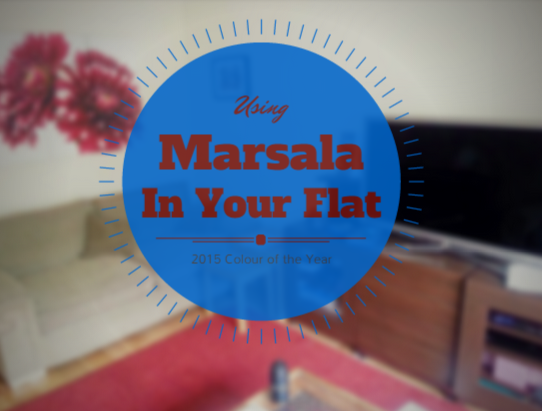 Take a look at our relocation guide for advice on how to adjust! If you follow the startup scene, or are a tech lover in general you've probably heard about TechCrunch Disrupt, TC's dedicated technology conference with a special focus on burgeoning startups. We're lucky here in London that this year, for the first time ever, Disrupt is taking place in our fair city! Old Billingsgate is a great venue - and is actually quite convenient to our offices here at FlatClub, as well. Disrupt is a cultural event for startups, and lifelong friendships & business alliances are forged here every year. 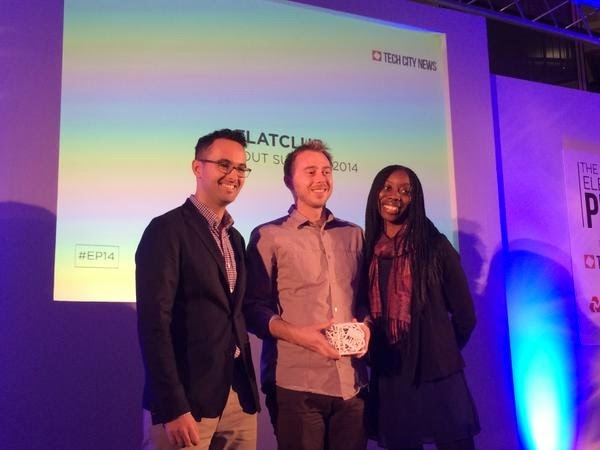 FlatClub is a proud partner of Disrupt in London this year. That means that we gave free tickets out to hosts who opted to give free accommodation for conference participants for the dates of Disrupt. Many Battlefield participants have taken advantage of this cool offer. There have been some amazing people and businesses to come out of Startup Battlefield in the past: including Yammer, Mint, Enigma, & Alfred. Lots of people attend Disrupt to network, recruit, and bounce ideas off of each other. 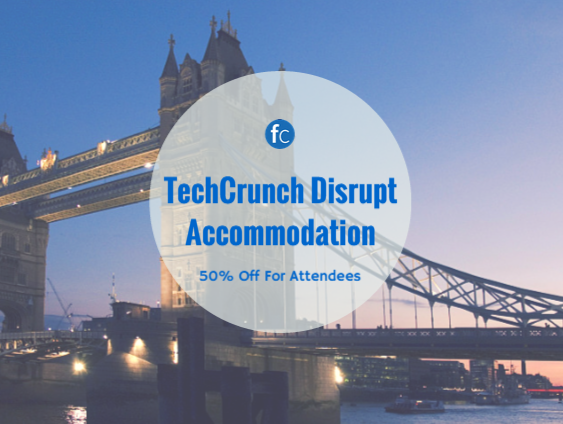 If you're already going to Disrupt, we've got another deal for you: 50% off of your booking fee for any accommodation you've booked through FlatClub. Just register through our Disrupt portal and we'll get you set up. Still not found a flat for the conference? 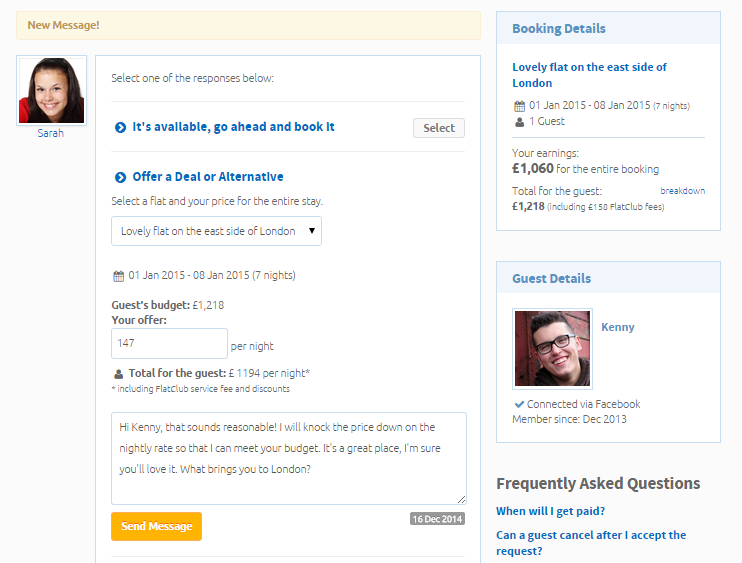 Instead of staying in overpriced hotel rooms we can help you find great, alternative accommodation for conferences! We're happy to be bringing people together who have a common interest - an interest they share with our team, as well. New technology, startups, and entrepreneurship; all these things are part of the fabric of Disrupt and part of the fabric of FlatClub. BusinessBecause Asks....What Will the World be Like in 2050? Our friends at BusinessBecause are running an excellent survey & competition sponsored by GMAC - the creators of the GMAT exam. MBA students & MBA applicants, predict where you think the world of work & offices will be in 2050 and you just might win $1,000 cash & a mentoring chat with a senior partner at Bain & Company! Within 300 words, describe what day-to-day life in an office will be like in 2050. Will you be arriving via flying car? Will you arrive to an office at all, or will telecommuting be the new normal? Will business as we know it still be chugging along - if not, what will be different? The very best entry will win the cash prize & chat with a partner. The next 10 best entries will win free copies of the FT Business Book of the Year, "The Everything Store" about Amazon & Jeff Bezos, and will have the opportunity to publish their thoughts on the future via BusinessBecause. Make sure to take the survey as well, it's an opportunity to lend your voice to the future & change the way business is done! Whether you’re looking for a laid back night out or one you will never forget - there are great nightlife spots in Greenwich. The new, well known O2 is in the neighborhood, as well as a few more local venues. The O2 - London’s best new, modern concert venue has made a big splash in recent years, drawing in all of the best live music and other acts. With plenty of coffee shops and restaurants on the premises and nearby, you could say at the O2 all day - you can even pay to climb it! Up The Creek - There are no shortages of comedy clubs in London, but it is always a slight gamble to go to a new spot. Up the Creek’s decor is a bit bare bones, but they focus on bringing in the quality comedy acts. Mordens Wine Bar - Quite possibly one of the most versatile wine bars in London, Mordens has an excellent wine list and a laid back, subtly decorated area to enjoy your selection in. There is also a cocktail lounge and a more lively downstairs bar. Oliver’s - Directly opposite Greenwich Theatre, Oliver’s is a gem of a live music venue and wine bar that is a delightful place to relax for a few hours. Between the cosy interior, ample drinks menu, and the excellent live jazz playing, you might find it difficult to leave. Davy’s Wine Vault - With a wine list of over 100 selections (plus a Davy’s shop for even more bottles next door), it is the perfect place to try a few new wines. They have a great British menu to go with your selection, and a cosy interior with friendly staff. Greenwich and its surrounding areas tend to revolve around all things nautical - whether it be museums, restaurants, or other attractions along the Thames. But even if you don’t hear the call of the sea, there’s something here for you to do as well! Greenwich Market Who doesn’t love a good, diverse market? Greenwich Market is the place to go in London for handmade items such as crafts and artwork. If you search diligently, you might even come across a few hard to find collectibles and antiques. Meantime Brewing Company - As one of Europe’s leading craft breweries, Meantime is in a great position to have a truly enjoyable brewery tour. They certainly deliver. With a fantastic menu and a tour guide with a great sense of humor, you will be entertained as you are educated about the process. As a bonus, there is an attached restaurant! The Queen’s House - This gorgeous 17th century house originally belonged to Henrietta Maria, wife of King Charles I. It now houses a beautiful art collection, in addition to being a great example of the architecture of the time. The Cutty Sark - If you have an interest in anything and everything nautical, you must visit the Cutty Sark. The last surviving tea clipper is here for you to enjoy - have you ever wondered what a 19th century ship looked like? Well now you can find out by exploring the ship itself, as well as walking under it to see it from all sides! National Maritime Museum - Possibly the largest museum of its kind, the National Maritime Museum holds more than 2 million items including maritime art, cartography, manuscripts, ship models, navigational instruments, and astronomy instruments. You might be a little further away from the hipster coffee scene in Greenwich, but that doesn't mean you won’t be able to find some good coffee and tea. We have a great list below of some independent cafes and bakeries from which to get your caffeine fix. Royal Teas - Royal Teas is off the beaten tourist path, with a cosy and intimate interior. Coffee may not be in the name, but it is not an afterthought. You can enjoy your delightful coffee along with a well-made breakfast, brunch, or lunch. Paul Rhodes Bakery - Fair trade coffee and tea, accompanied by some of the best bakery-fresh breads, sandwiches, cakes, and other sweets - what could be better? Paul Rhodes is the perfect spot to enjoy your morning coffee… and then stay through lunch for more of the amazing food offerings. Red Door - Serving up some of the always delicious Monmouth Coffee, Red Door is an intriguing part-coffee shop-part-gallery in central Greenwich. The cosy interior is complemented by the use of vintage china cups, and the presence of sandwiches, scones, and vegan, wheat-, and gluten-free cakes. Koffees and Kream - The light, airy space is chic and inviting, and makes you want to stay and drink your coffee for awhile instead of just grabbing a quick take away cup. There is also the added enticement of well-prepared breakfast, lunch and dinner on offer. Pavilion Tea House - Located in the pretty Greenwich Park area, the Pavilion Tea House is an airy octagonal structure, serving breakfast, brunch, and lunch. If you’re in the area and coffee is what you’re after - they serve fair trade, artisan Union Hand roasted coffee. Greenwich - the place where time is born! 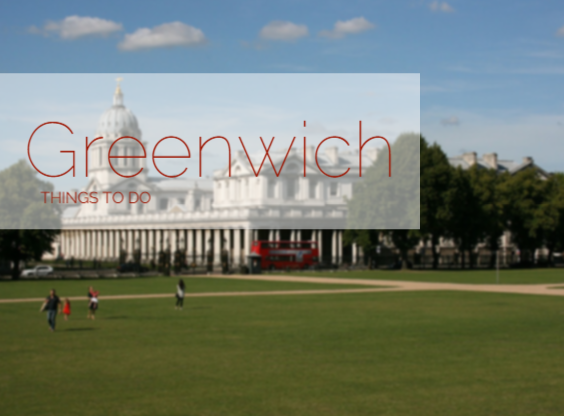 Just a little ways out of Central London, you may feel transported back in time yourself as you take in the lovely architecture & scenic greenery of Greenwich. Feeling hungry? You've got options. 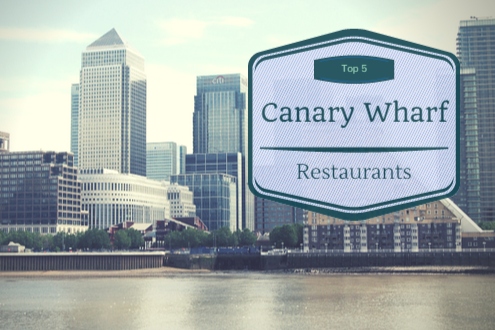 From the traditional fish and chips - made even more appropriate by the neighborhood’s nautical trend - to Michelin rated restaurants, there is something in the area for everyone. 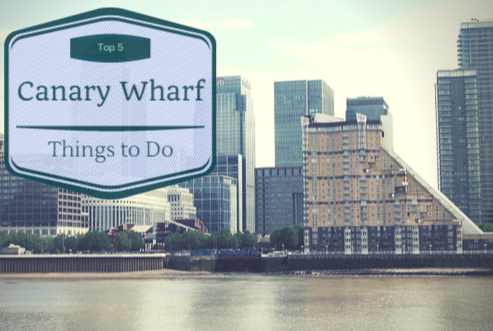 Add a lovely walk along the Thames before or after lunch or dinner, and you’ve got yourself a perfect afternoon. Goddards at Greenwich - This family-run restaurant has been serving traditional British pie and mash since 1890. If you’re looking for authentic cuisine, this is it. The regulars and newcomers alike are impressed with the quality pies - available with steak, chicken, and vegetarian options. Inside - Mentioned in the 2014 Michelin Guide, this modern European restaurant serves up top-notch cuisine by the main chefs - Guy Awford and Brian Sargeant. The fresh, quality food is accompanied by a comfortable atmosphere and friendly staff. Bianco 43 - Bianco 43 is proud of being the most authentic Italian pizzeria in London. You can find an array of quality pizza and traditional Italian cuisine on the menu. The Golden Chippy - If you’re looking for a great authentic fish and chips experience, head on over to The Golden Chippy. They serve up a perfectly cooked and crispy cod to both locals and tourists. Zaibatsu - If you like great Japanese fusion cuisine, you might consider the hidden gem that is Zaibatsu. From noodles to sushi to salads, they serve a bit of everything - and it is all prepared and served by a friendly staff. 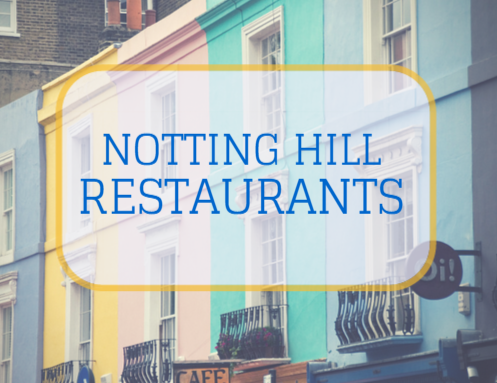 The Hill - Mediterranean cuisine slightly out of the way of the foot traffic in Greenwich - you won’t regret looking for this hidden gem. 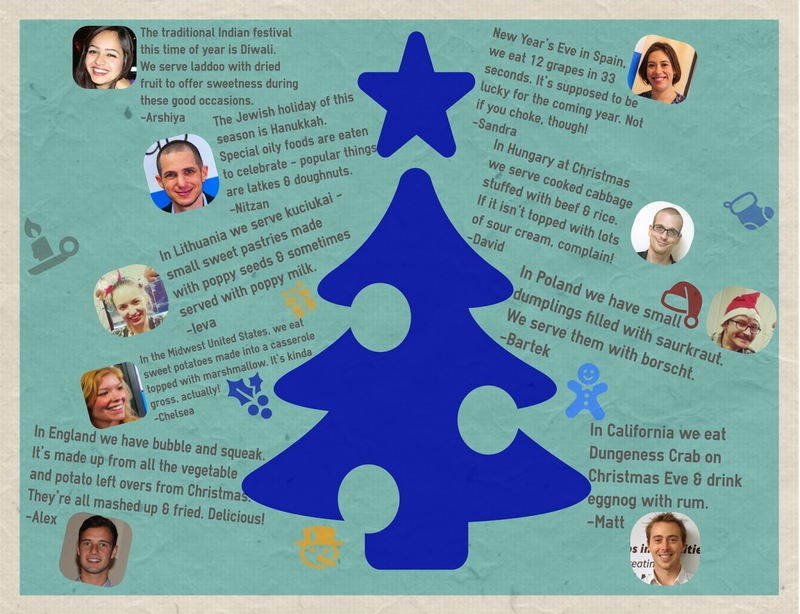 The owners are passionate about food from all over the world - so you might see some interesting variety. Here at FlatClub we love all of our communities - our clubs, our newly opened Google+ page, and of course all of our users, period! There is another community that we’re quite fond of - and that’s the London Business School community! Not only is it the largest club on our site, it’s also our birthplace. Given our connections, we like to keep up with cool events happening at LBS. Coming up this month (Oct 18th to Oct 19th) is the China Business Forum, hosted by the biggest Chinese student association in LBS. It’s been going for 3 years, and it’s a great way to learn about Sino-European business through mutual understanding and direct conversations. Business leaders from both China and Europe will be in attendance. 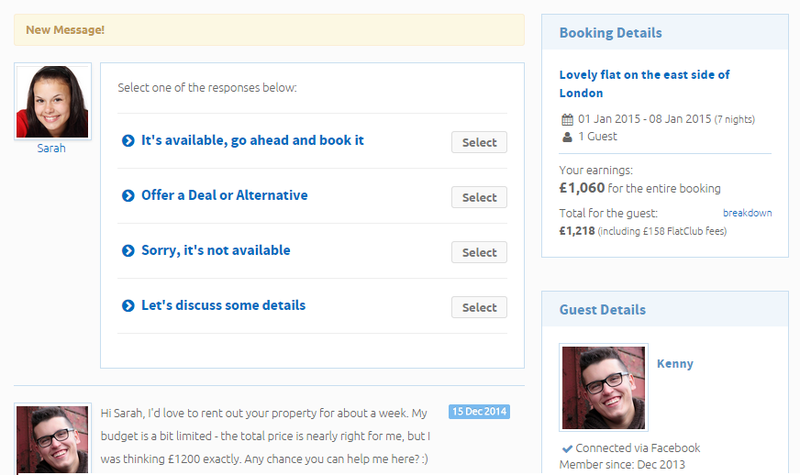 Find more information here, and of course find accommodation on FlatClub through the LBS Club network! In early November there are a couple of exciting events, including EurOUT, a special forum for LGBT students & alumni of LBS to discuss ideas related to the community & network in an inclusive, welcoming environment. Also exciting is that for the first time in EurOUT’s history there will be a job fair before the official forum! Lots of great companies will be represented there, including Bain & BCG. It all starts November 7th and ends November 9th - if you need accommodation we can help out with discounted prices for LBS students & alums! For more info on the event see their official page. Also happening through November 7th til the 9th is NOVA, an annual conference which hosts key representatives from Italy, and the international business community. This conference is a unique opportunity for Italian MBA alumni & students to meet and discuss opportunities for Italy within the global economy. This is the first time that the event has been organized in Europe and hosted by the LBS’ Italian students. This will make it easier for business school alumni to attend, as many of them reside in Europe. 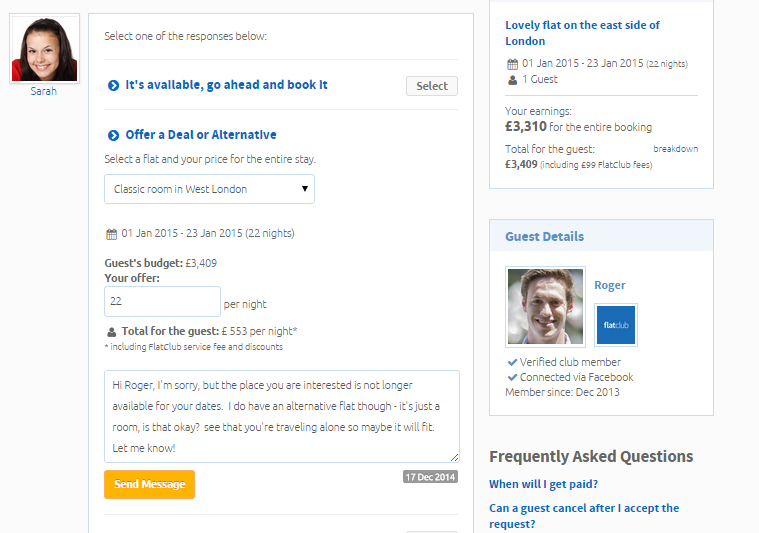 If you’re an alumni in Europe, find accommodation here in London through FlatClub! 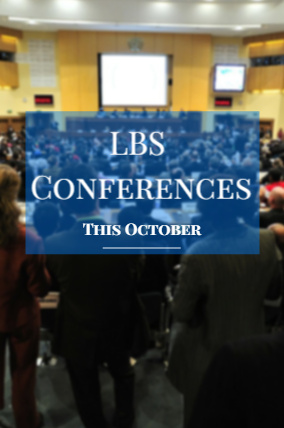 In late November The Global Energy Summit will occur - LBS Energy Club's annual flagship event. In it’s 11th year, GES has provided an unrivalled forum for political, academic, and business thought-leaders to explore & debate the future of the energy industry. Coming from abroad? We’ve got accommodation options. For more info on the event, see the official site.